Even if Yogi was not famous — and even if he was not a ball player — his goodness and humor would have still made an enormous difference in the lives of those whose paths he crossed. But luckily for the rest of us, he was a rare sort of celebrity. Which means that we are all enriched by the memories he built for us not only in the ballpark, but through the strength of his unassuming and cheerful personality. 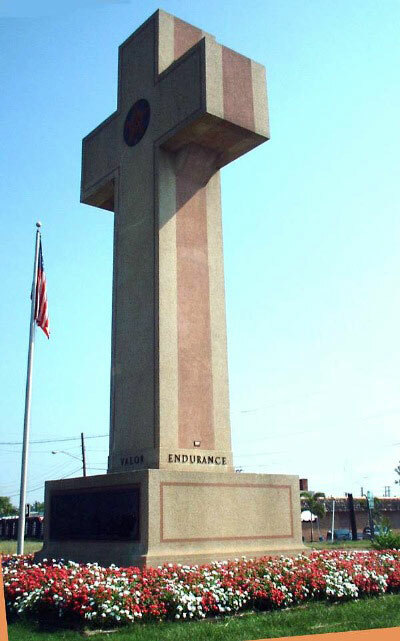 And his loyalty to family and country: He was married to his wife Carmen for 65 years; and he fought on D-Day at Normandy in WWII. A few folks dismiss yogisms, and think Berra should be remembered primarily for his incredible record as catcher for the New York Yankees. Well, if yogisms upstage his statistics, that’s not such a bad thing. Because Yogi was so much bigger than baseball. Sure, his amazing stats will live on in the record books. In fact I’ll bet his yogisms will actually help keep them alive in more conversations. But it is Yogi’s personality and his words that will have far greater staying power in real life all across America. And on another level, that is the case for each and every one of us. We may accomplish great things, but how we treat others and give of ourselves is what makes the biggest impact in the lives of others. Ultimately, good legacies are always about how people have touched others’ lives. Their accomplishments and skills are part of that picture, to be sure, but how someone connects with others—as in the case of Berra—is an even bigger piece of that picture. In the same vein, I think for most our connection with Berra as a legend has to do more with how we relate to him as a human being through the power of his personality than through the power of his swing. That makes his legacy all the bigger and brighter. 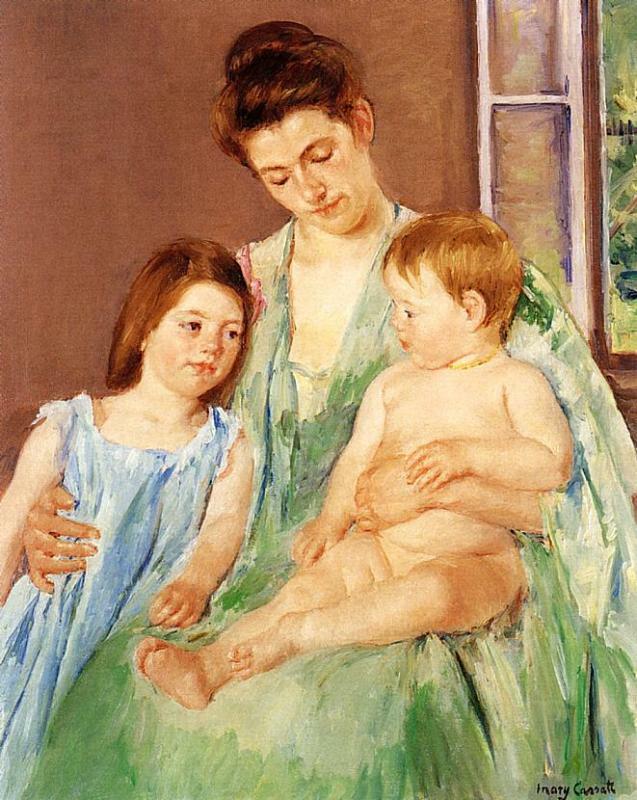 I’ve added another mother-child painting by Mary Cassatt to accompany my post today because I find her work so beautiful and inspirational. It also serve to remind us that this is the most basic of all human relationships. Without healthy family bonds — cultivated through the mother-child bond — a lot goes haywire in the world around us. With family breakdown we get community breakdown. And now we’re dealing with whole scale communication breakdown. This post is a re-cap of several pieces I wrote this week on how to break the PC-cultivated spiral of silence. Isn’t it crazy how much we are expected to police our speech — and therefore our thoughts — in everyday life? One example is how the media schools us in how to use pronouns, assuming we are all draftees into its scam of transgenderism. We also read about how millennials on college campuses have developed such delicate sensitivities to any non-PC expression that they get “triggered” into emotional meltdowns. As we walk among the eggshells, we can all use a few pointers in navigation. I’ve been trying to provide a little bit of a primer this week in my five-part series at the British web magazine The Conservative Woman. We can not address the breakdown in communication until we understand the root causes of it. Tuesday’s headline was: “PC Propaganda is intended to Divide and Rule.” The one critical fact to remember about political correctness is that separates people. The intended effect is to prevent you from having personal relationships and personal conversations that could get in the way of a PC agenda. In fact people are excessively policing their own speech when talking to folks who could be their friends: neighbors, co-workers, classmates. We need to push back hard against this sort of meddling. On Wednesday I wrote “Fear Powers the PC Machine.” Hollywood, Academia and the Media fuel it. It’s so important to become self-aware, and recognize our weaknesses as human beings. Our fear is ultimately about being separated from others if we step out of line. How ironic then, that we actually perpetuate this cycle by feeding the PC Machine with our fear — separating ourselves even more from others. Today’s headline is: “Only Connect to Fight Back Against the PC Tyranny.” This means, basically, what we must do in order to help unravel the tyranny is create the ripple effects of trust and openness in your daily life by connecting one on one with others. Trust and friendship have a powerful effect in a age that’s becoming increasingly devoid of those things. Friendship, in fact, is inextricably linked with freedom. Tomorrow’s post will include a few rules of engagement as we go about breaking the ice with our neighbors, co-workers, and others we meet in daily life. I hope you’ll check www.conservativewoman.co.uk to read up. It’s critical that we engage. What is it about traditional mothers that moderns find so offensive? Is it really all about “submissiveness” to something they call “the Patriarchy?” Do they really believe traditional mothers reinforce something so-called feminists call “gender roles?” On the surface it may seem this way. But I’ve been digging a little deeper and I think there’s something else at play here. Because the elites who keep feeding us that hype are usually big promoters of political correctness. And political correctness is nothing more than a silencing tool. It’s used to prop up the power of elites who push self-serving agendas that would never withstand real scrutiny. In a very real sense, traditional mothers are probably the ultimate barrier to the consolidation and centralization of power of the Mass State. Think about it. Mothers who cultivate virtue and a sense of uniqueness in their children are the ultimate de-centralizers and distributors of power in a society. They set virtuous communities in motion. Behind the scenes. In this first part I’d like to give you the lay of the land as I see it: How and why the agents of political correctness target any independent thinker, but particularly conservative women. And what happens when we give in to self-censorship. In the second part, I’ll talk about something called “the spiral of silence.” In Part three, I’ll dig a bit more into the mechanics of political correctness and how it works and why I believe the only way out is through the “Hidden Sphere.” In Part Four, I explore a bit about the inextricable link between freedom and friendship. Finally, in the final installment, I offer a few prescriptions on how conservative women can resist getting sucked into the PC machine – and make friends (and, sure, some frenemies) along the way. Statists are forever trying to coax us into giving up being the hand that rocks the cradle so that they can take control of the cradle for themselves. If there was so little power in what we do and what we believe, why ever would they seek to do such a thing? Why would they even care? 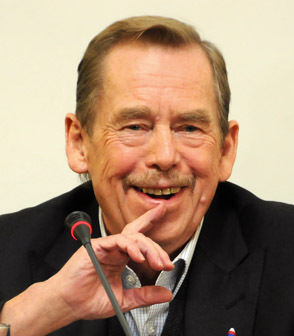 In a previous post I discussed how Soviet era Czech dissident Vaclav Havel referred to our private lives as the all powerful “hidden sphere.” I see the attack on the family, and mothers in particular, as an attempt to disrupt and destroy the power of the hidden sphere. I just want to post a little something today about Vin Scully. I was so happy to hear over the weekend about his decision to continue announcing Dodger Baseball for another season. His 67th season! The sound of Scully’s voice reaches into the deepest recesses of my earliest childhood memories. My father was a devoted Dodger fan from Brooklyn who moved to Los Angeles a few years before the Dodgers did. So I grew up hearing the sound of Vin Scully’s voice — a constant and comforting sound of summer. Vin Scully has another difficult-to-describe quality that makes him so appealing and iconic. His fascination with the “roar of the crowd” represents something I think we all want and which is unattainable on earth: the chance to converse with all of humanity at the same time. It represents a desire to be in community—or in communion—with others. It’s like being in a grand conversation in which no one can predict what will happen next. A community like that is held together through mutual respect and the anticipation of joy. The illusion of transcending time always feels reassuring to mortals, so longevity is an obvious part of the Scully mystique. Whether we know it or not, I think Scully’s relationship with the Dodgers and fans is a reflection of what true community should feel like. It means reaching out to all in good will. Being honorable, loyal, and dependable. Playing by one set of rules, rules that everyone agrees upon in advance and in good faith. Recognizing that everybody brings something of value to the community. Giving our best to one another and respecting the dignity of each and every human being. It means speaking truth, in love. And, of course, it means listening. His fascination with the “roar of the crowd” represents something I think we all want and which is unattainable on earth: the chance to converse with all of humanity at the same time. It represents a desire to be in community—or in communion—with others. It’s like being in a grand conversation in which no one can predict what will happen next. A community like that is held together through mutual respect and the anticipation of joy. This is a feeling that I think reflects in part what C.S. Lewis meant in his essay “The Weight of Glory,” a universal human longing to “bathe” in a glory we can hardly put into words. Lewis notes that we often mistake this for a sense of “nostalgia,” but it’s so much more than that. Nostalgia can overwhelm us with a sense of wistfulness. When that feeling takes hold, we find ourselves looking back with longing, hoping to find something “close to home,” something permanent to hold on to. Nostalgia is triggered by any one of our senses. The sight of a memento, the sound of a voice, the touch of a fabric, a frangrance, a taste. It comes to us as a reminder that we feel lost in time and we ache for a sense of connection in relationships with others through all of space and time.